Three Seton Mains, Saltire Award, '06. "We have used John Smith Builders for over 20 years and would like to say just how much we have appreciated working with all their team of men, not only on site, but in their offices as well. Nothing was ever too much trouble, the attention to detail, tidyness of the working areas and if any concerns did arise, the ease with which these were dealt with meant the project ran smoothly and to great effect. The end product at Congalton Steadings is testiment to the quality of workmanship. The team effort between Smith's workforce, and our Architects WN Thomsons of Edinburgh, meant we received a Scottish Building Federation commendation award for the conversion and use of old buildings in 2008. John Smith's as a team are also very conscientious with any problems which might occur in the retention period, are easily contacted and respond to requests to discuss any problems. 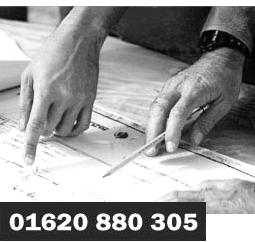 It is difficult in this day and age to find reliability in the work place, but you have that, with a touch of old fashioned standards, which is what makes a project with Smiths an enjoyable experience!" “We worked closely with John A Smith & Son Ltd during the last few years (2005 – 2010) to procure the successful completion of a high quality conversion, including significant alterations and extensions, to an existing group of Steadings at Congalton, East Lothian. Following the successful completion of the initial phase of work to form 2 new houses, we progressed with subsequent phases which included new Stabling, refurbishment of the remaining Steading buildings, including the provision of a 3rd new house, as well as a number of alterations to the principal house on the Estate. * Redcliffe Stables Stenton- alterations to existing stable building. * Tantallon Golf Club North Berwick- alterations to kitchen and bar areas. * Abbeyfield Care Home Dunbar – alterations to provide ensuite accommodation. 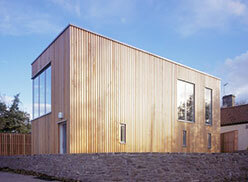 * Poldrate Haddington - Lottery funded major new build addition to community buildings. * Barley Mill West Saltoun – alterations and upgrading to existing house. * Muirfield Riding School for the Disabled West Fenton– Grant funded extension to provide viewing gallery, training room and ancillary accommodation to riding arena. * 92/93 High Street Haddington – Grant funded extensive repairs, alterations and refurbishment of Listed Building. * * Queenstonbank Farm Gullane – ongoing project of extensive redevelopment of existing semi-derelict farm buildings to form one dwelling house. John A. Smith & Son undertook this project in 2009 following extensive fund raising by the Client to extend the hugely successful existing Riding Arena at West Fenton. The extension houses a viewing gallery, training room, new offices and toilet facilities. The construction is timber frame with larch wall cladding and fibre cement roof cladding. The work was carried out sensitively and timeously by John A. Smith & Son to allow the existing building to function as normal as far as possible whilst keeping to the contract programme. Costs were carefully monitored during the project to ensure that the Client’s budget was not exceeded. John A. Smith & Son undertook this project in 2009 for East Lothian Council acting as agent for building owners, the Wrights and Masons of Haddington Trust. The building is a Category B Listed 18th Century building of some importance within the High Street of Haddington. The work carried out included extensive external repairs and complete refurbishment of the existing ground floor shop containing historically important chemist shop fitments from the 1800’s, which were carefully removed, renovated and reinstalled. The works were grant aided including a major contribution from Historic Scotland. The top two floors were extensively upgraded and altered to form two flats. John A. Smith & Son had to work within an extremely limited site area for the project and programming was critical in terms of carrying out stone replacement and specialist lime render work within required weather dependent parameters. The project was successfully completed on time and in budget. Smith Architects has always been very satisfied with the completed projects carried out by John A. Smith & Son and continues to have a good working relationship with them on current projects. Working with a Committee I am sure can be trying, but Muirfield Riding for the Disabled felt that the company personnel were “on side” from the outset and understood that, as a charity, cost was an important factor as was the time frame; we wanted to minimise the disruption to our services – not always easy with jittery ponies and nail guns! Their team were very obliging throughout the build and we always felt there was a sense that we were all working together to achieve the best result. We are delighted with the building and would not hesitate to highly recommend the company to others. © John A. Smith & Son Ltd 2012.